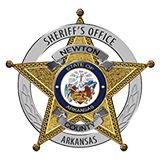 Newton County Sheriff Keith Slape said that the Newton County Sheriff's, Johnson County Sheriff's Office and the Arkansas State Police are investigating a homocide that occurred in Newton County and the body was placed at a swimming hole in Hurrican area of Johnson County. Slape said that Jackie L. Campbell, 48 of Vendor, was arrested Wednesday evening for the murder of Alice Lloyd, 40 of Hasty. Slape said that it appears that Campbell shot Llloyd in the chest at his residence in Vendor and had taken the body to Johnson County to dispose of it. The case is still under investigation by the Sheriff's Office and the Arkansas State Police.